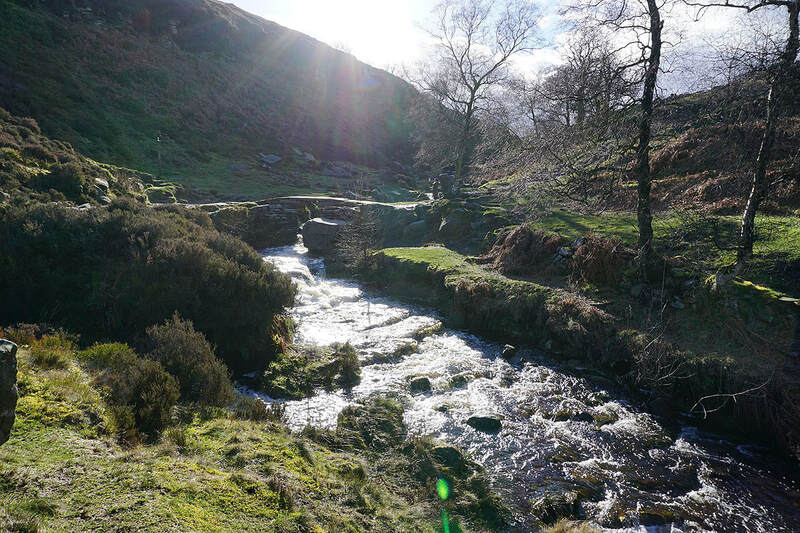 After yesterday's terrible weather of persistent heavy rain for the whole day, something a bit better today with a mix of sunny spells and the odd wintry shower thrown in. 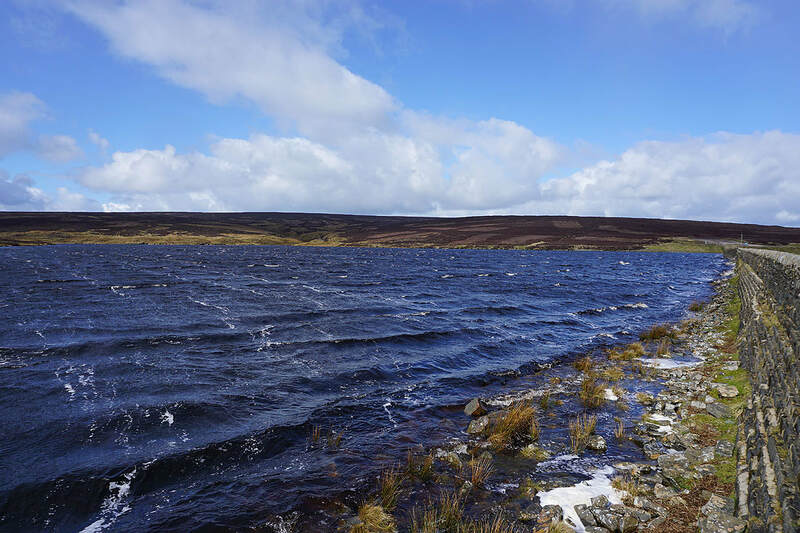 It was windy though, so that put restrictions on where I would consider going to. 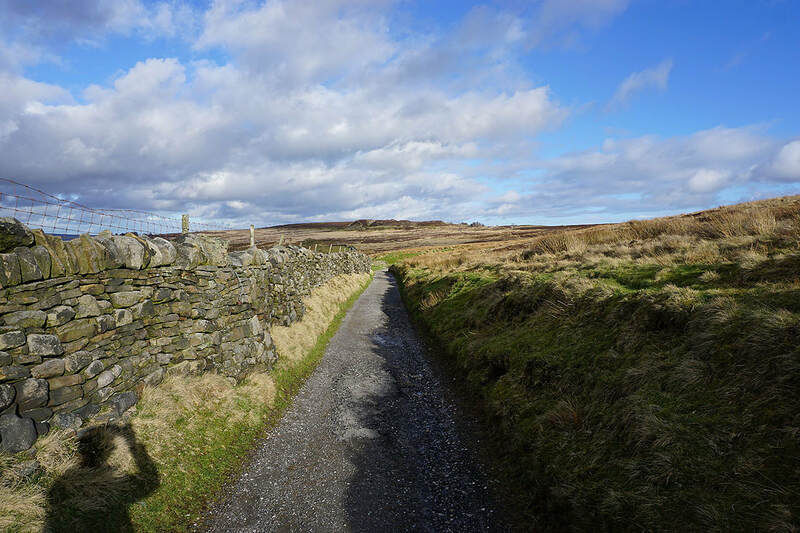 In the end I opted for a route from Stanbury in the Worth Valley, in Bronte Country. 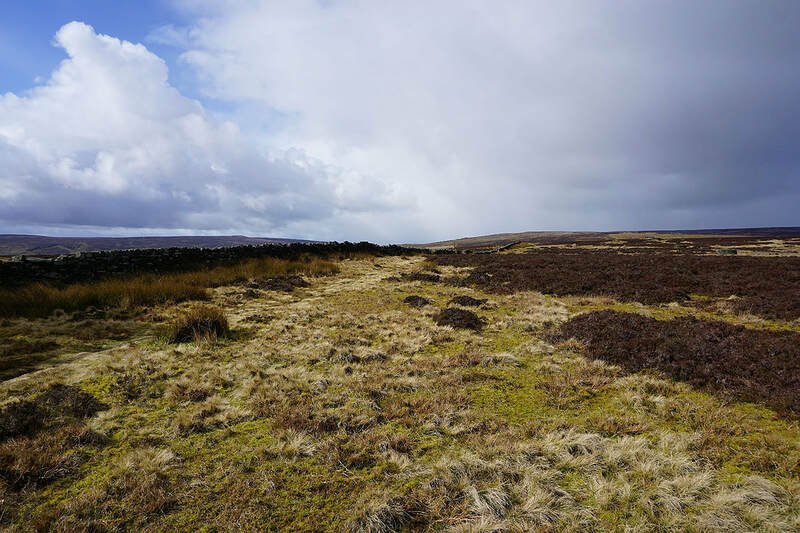 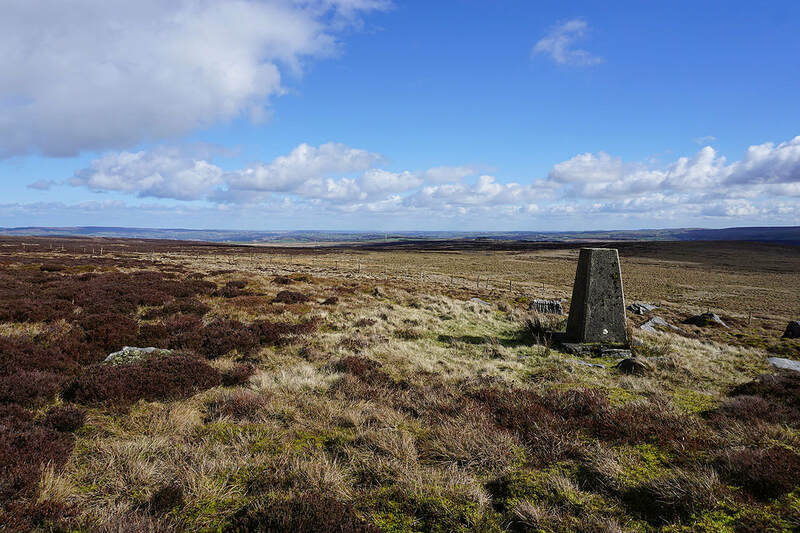 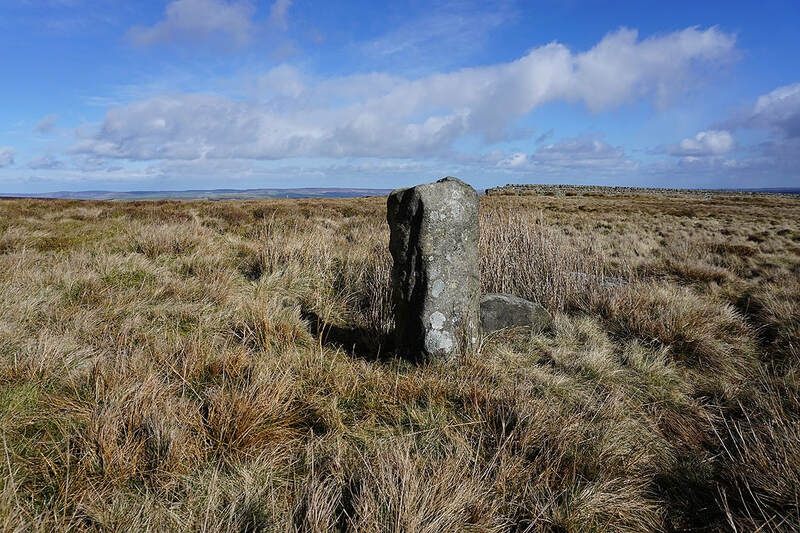 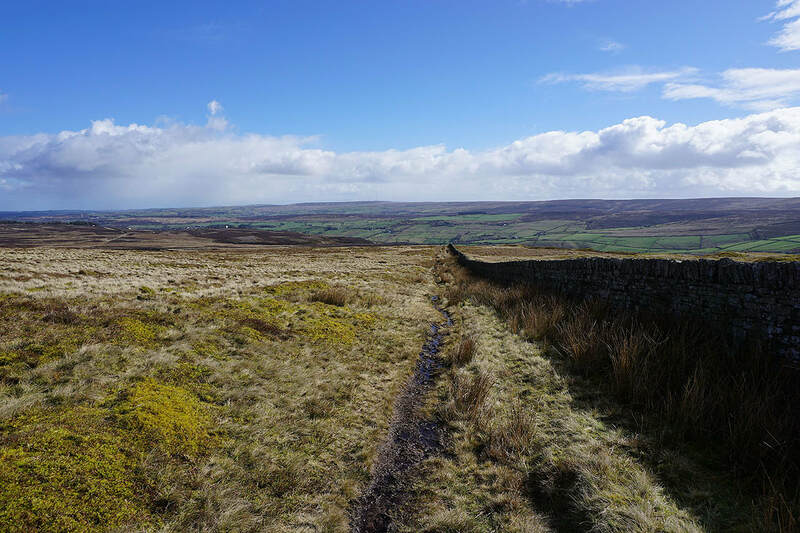 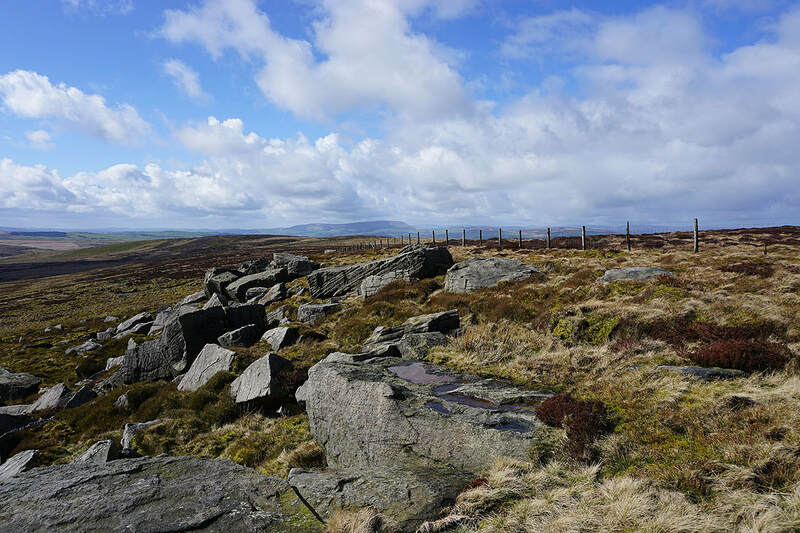 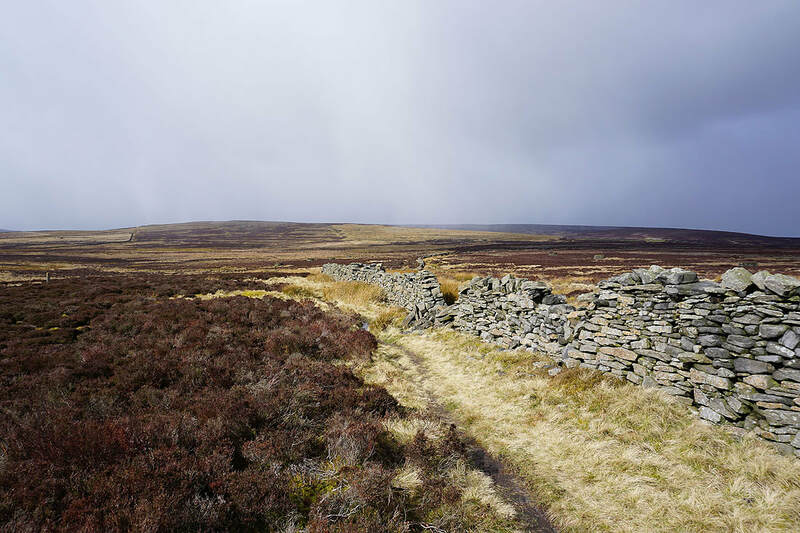 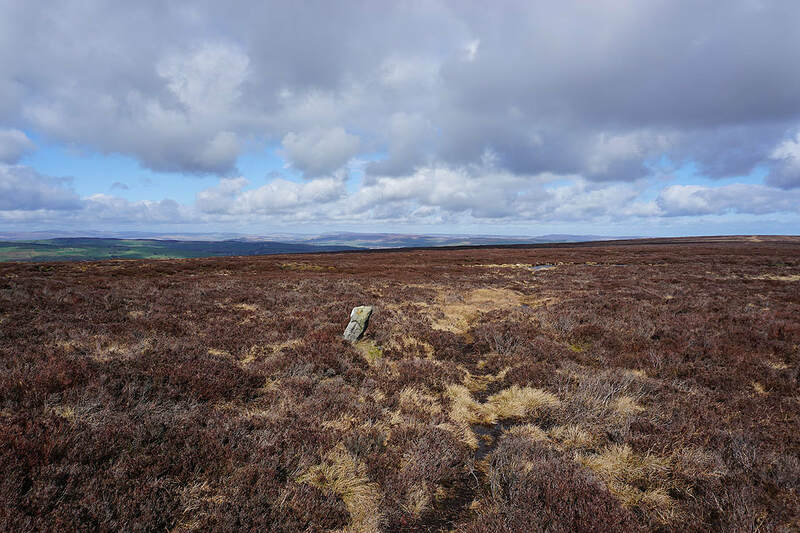 This was a shorter version of a walk that I've done before, in 2016, when I took in the trig points on Wolf Stones and Stanbury Moor on opposite sides of the Worth Valley, this time it was just Wolf Stones. 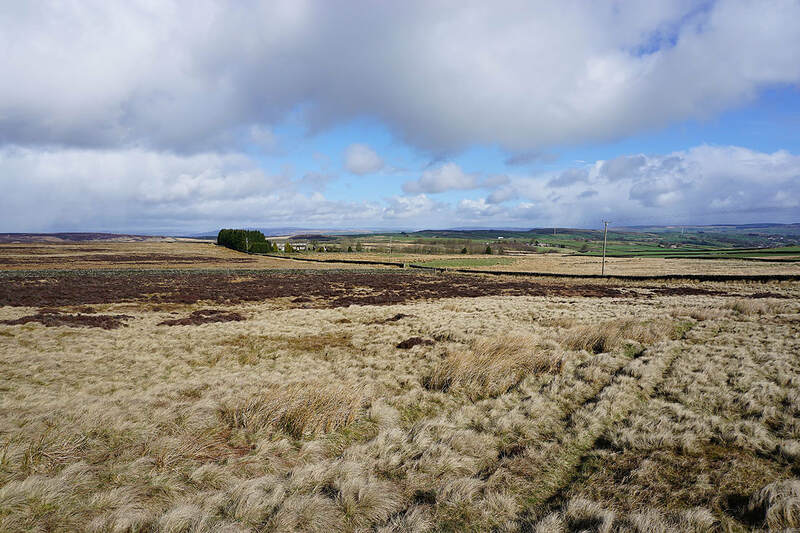 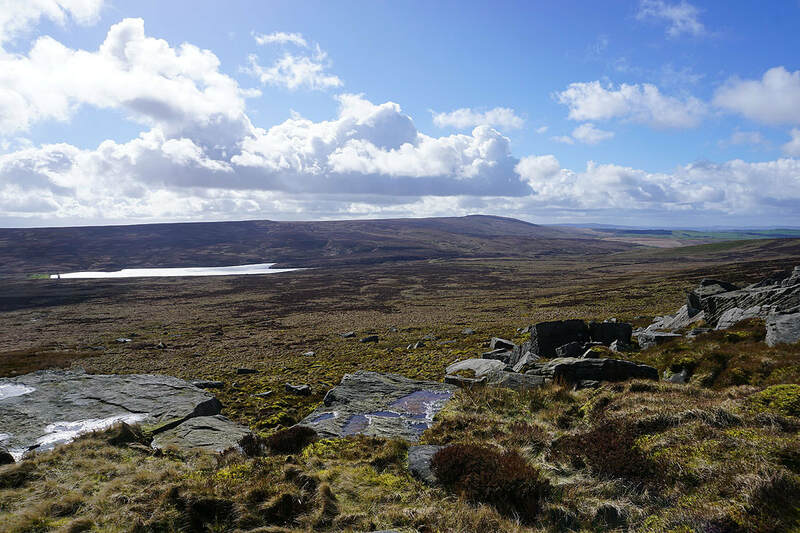 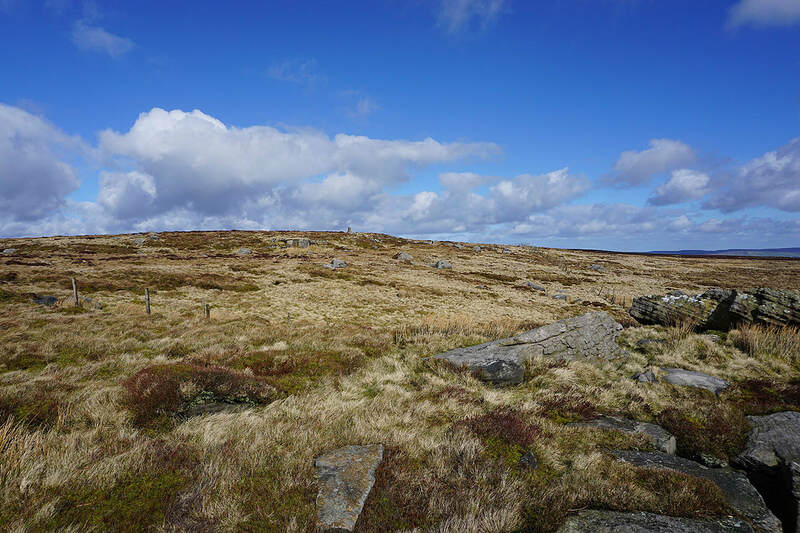 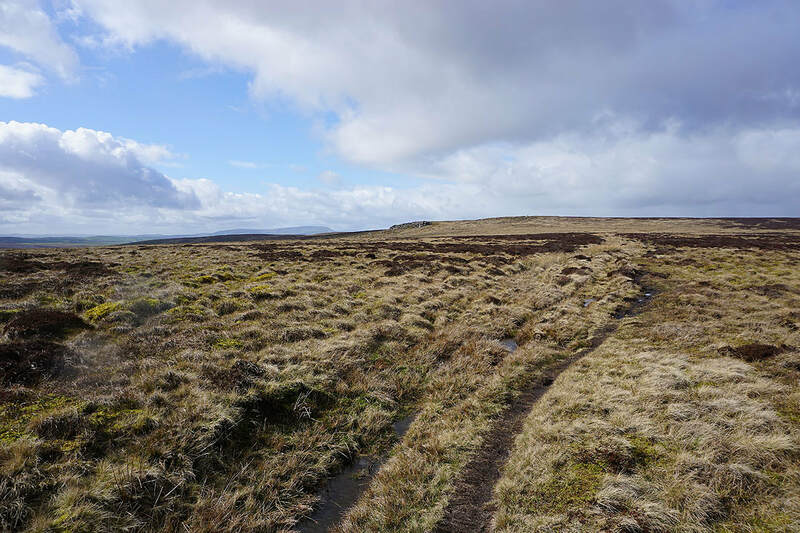 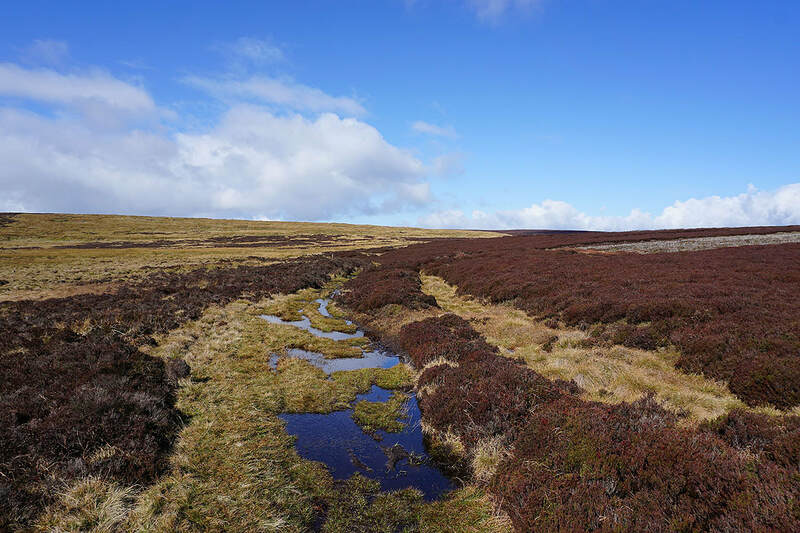 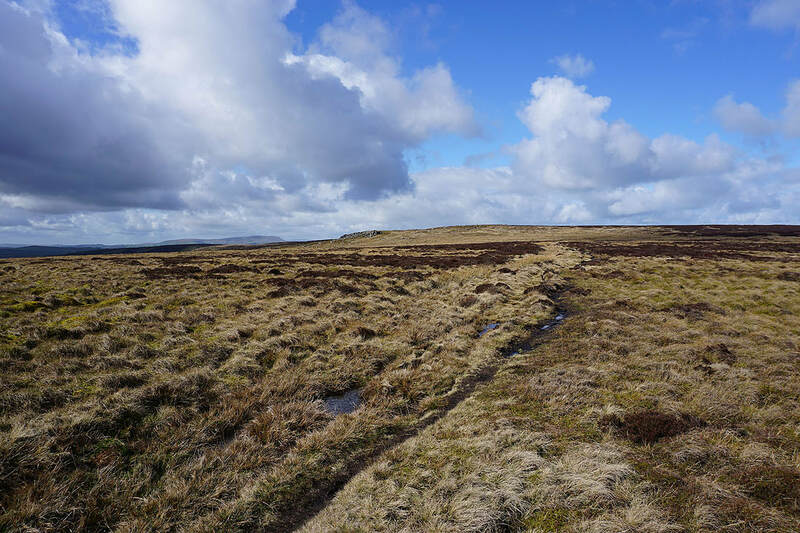 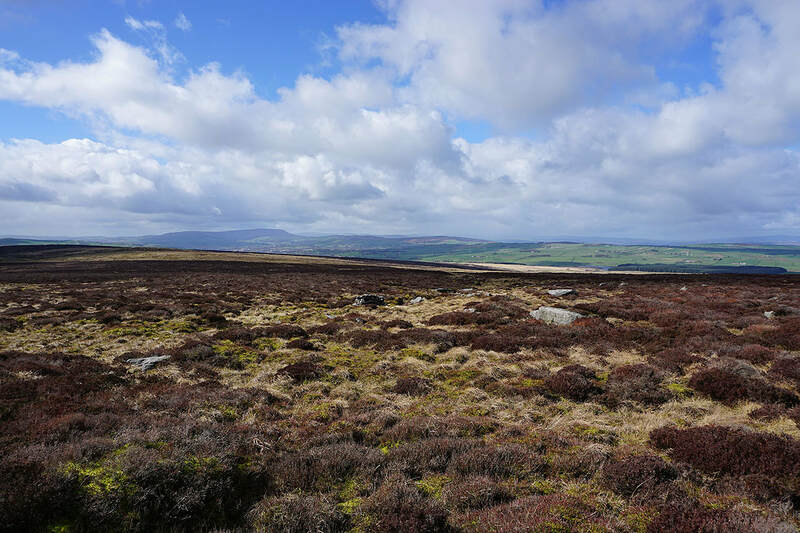 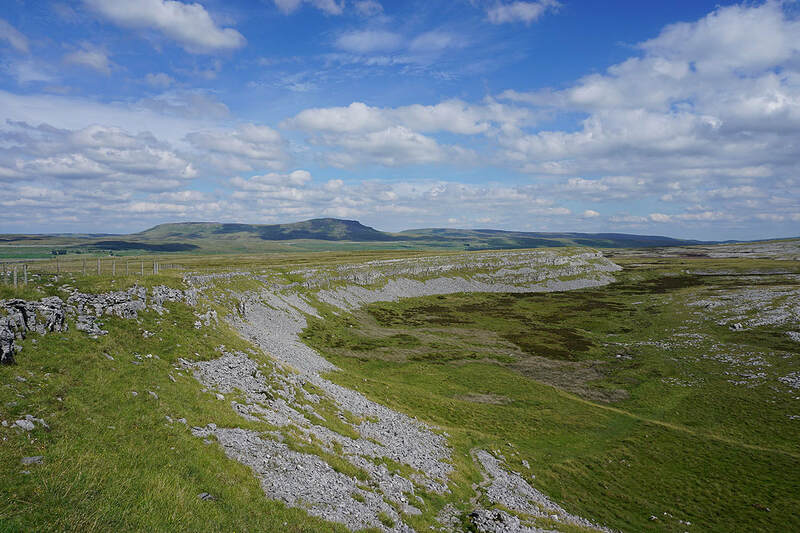 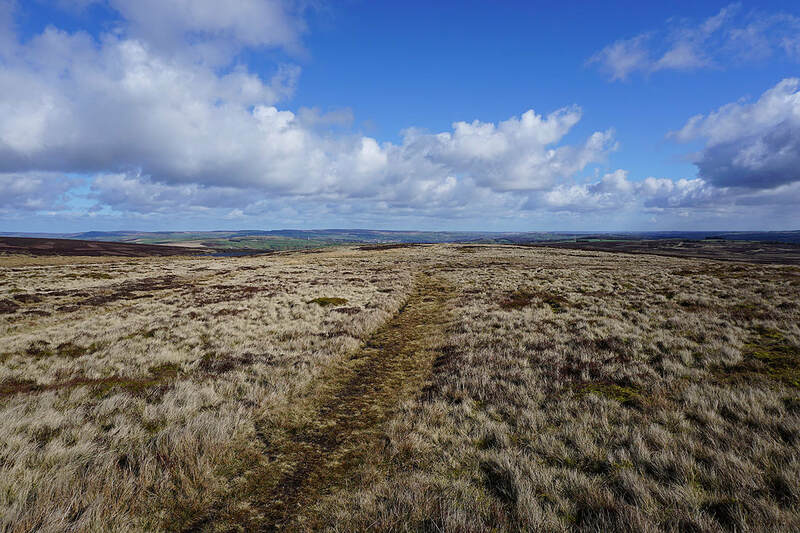 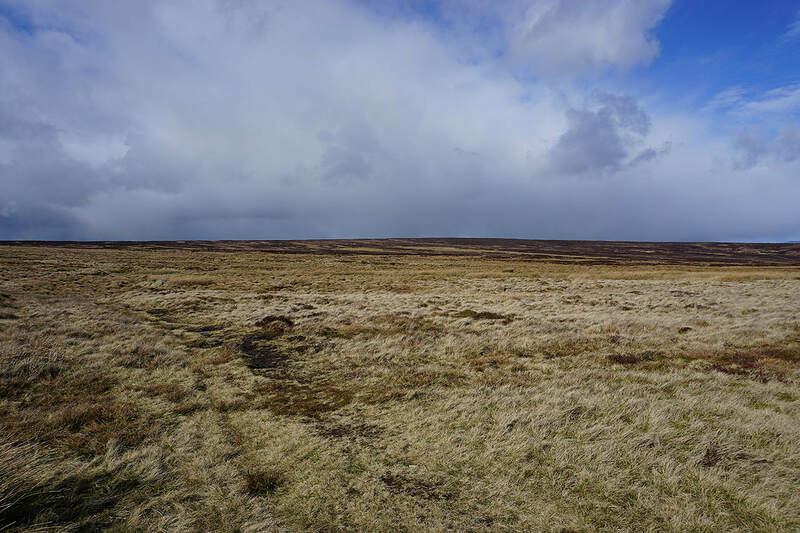 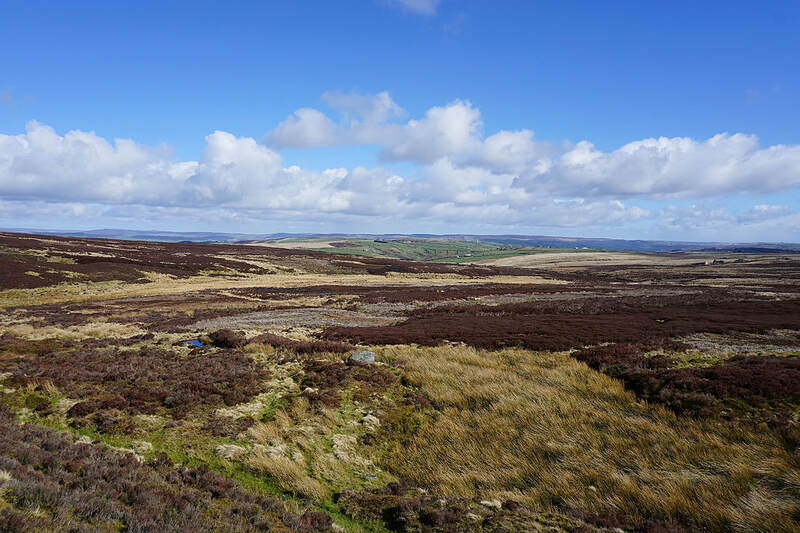 It was a thoroughly enjoyable day for being on the moors, plenty of spring sunshine and great visibility makes a fantastic feeling of spaciousness. 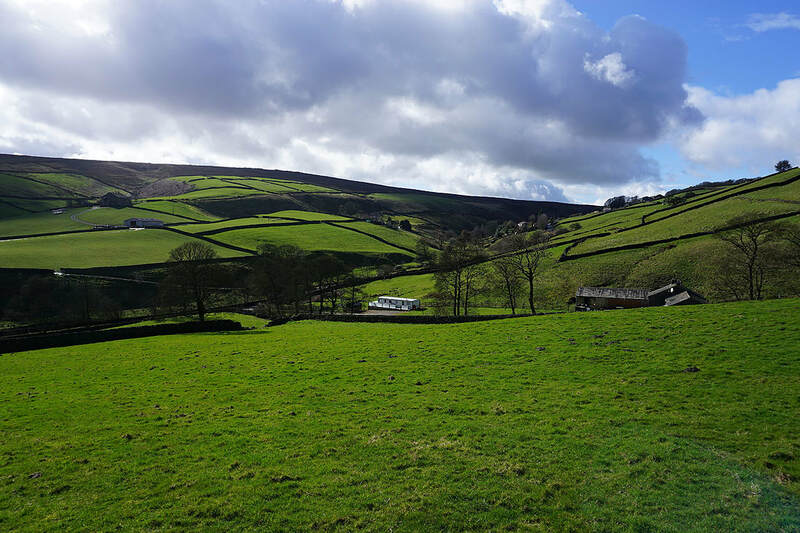 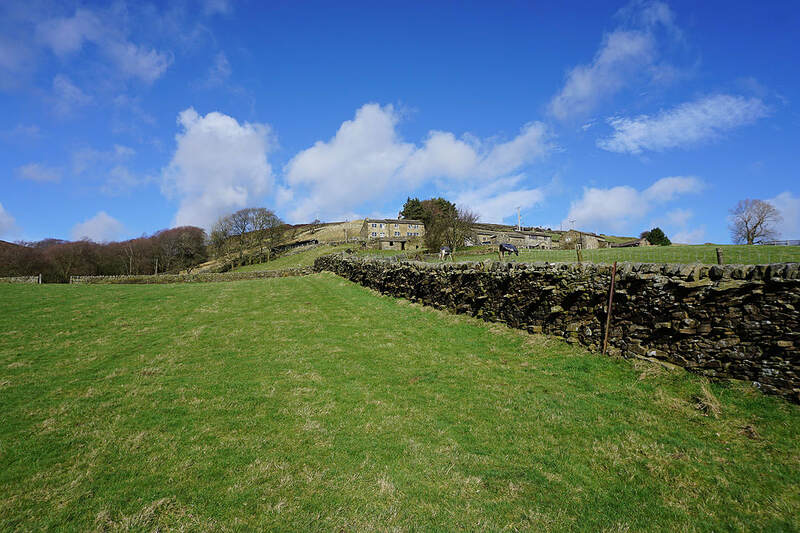 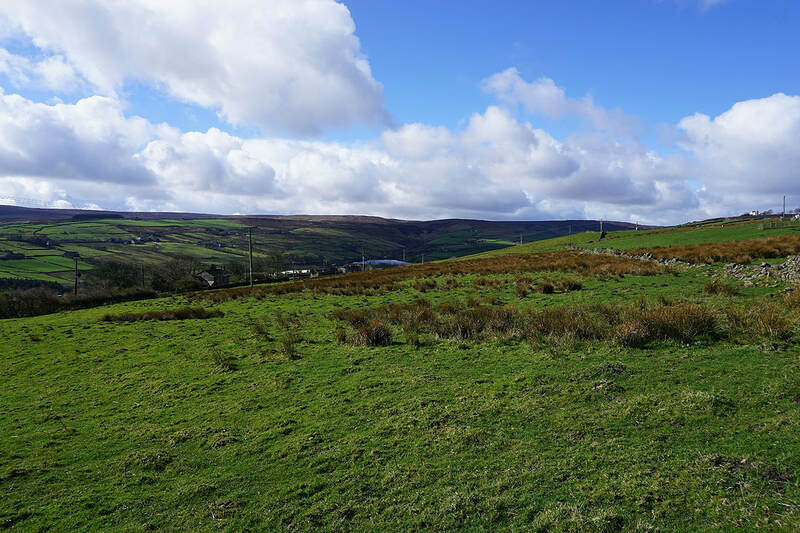 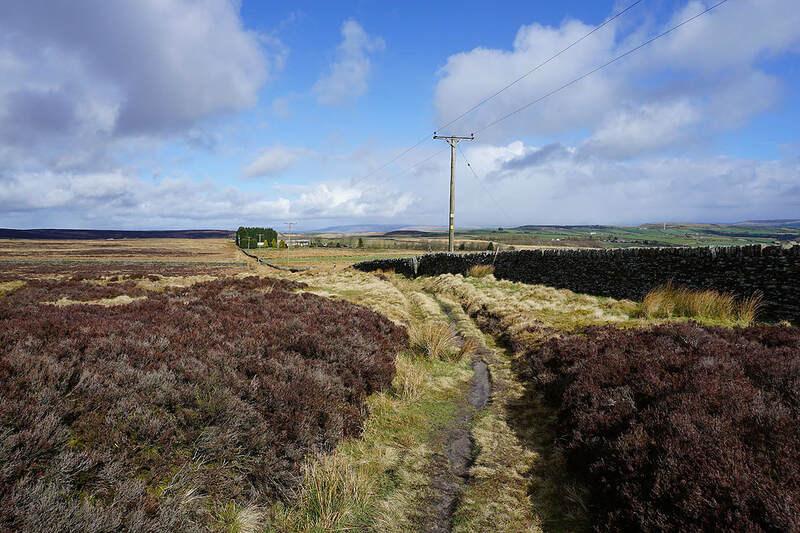 ​From a layby on Hob Lane just to the east of Stanbury I walked towards the village and took a footpath that goes around it to the north. 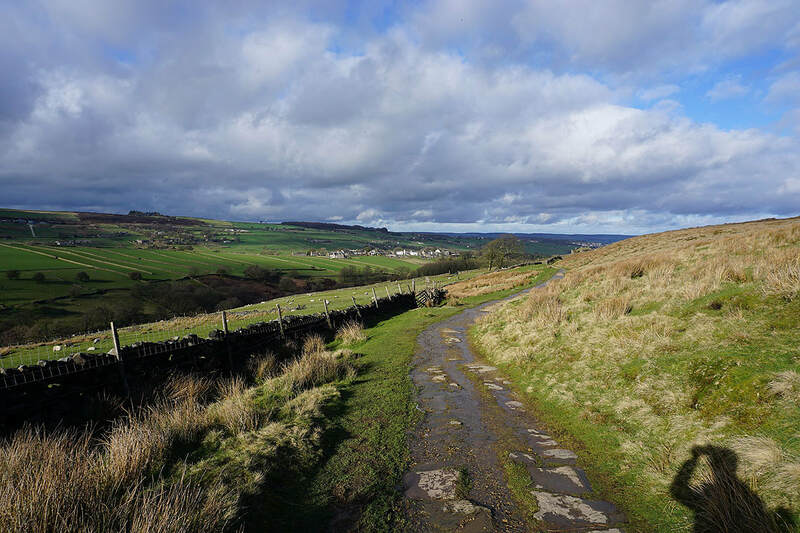 I left this for a footpath on the right down into the Worth Valley, across the River Worth via a footbridge and then up to Oldfield, where after a short walk west along Oldfield Lane I picked up the trail of the Millennium Way up to Harehills Lane. 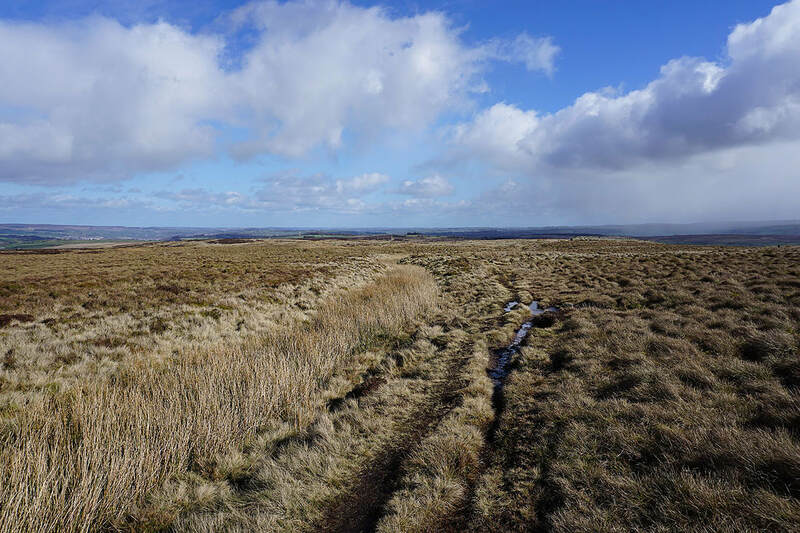 I crossed the road and followed the trail up past Harehill House and then northwest across Oakworth Moor to Keighley Moor Reservoir. 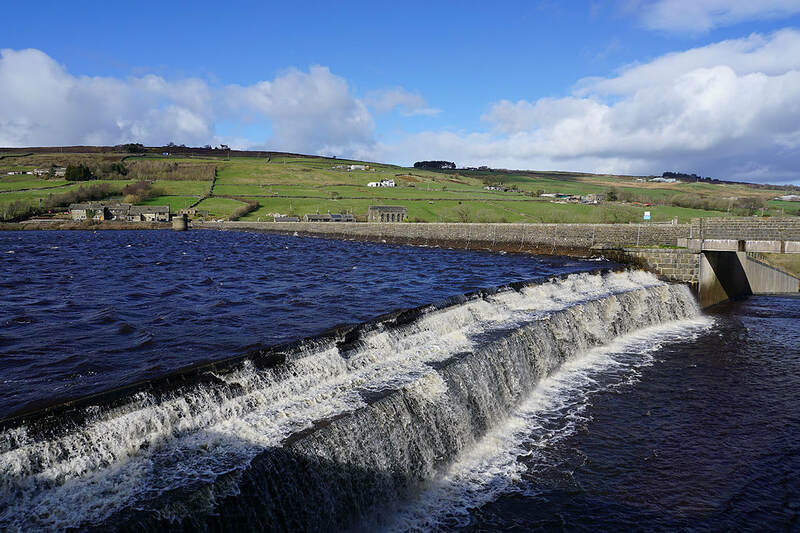 The dam of the reservoir proved to be a good spot for finding shelter out of the wind for having lunch. 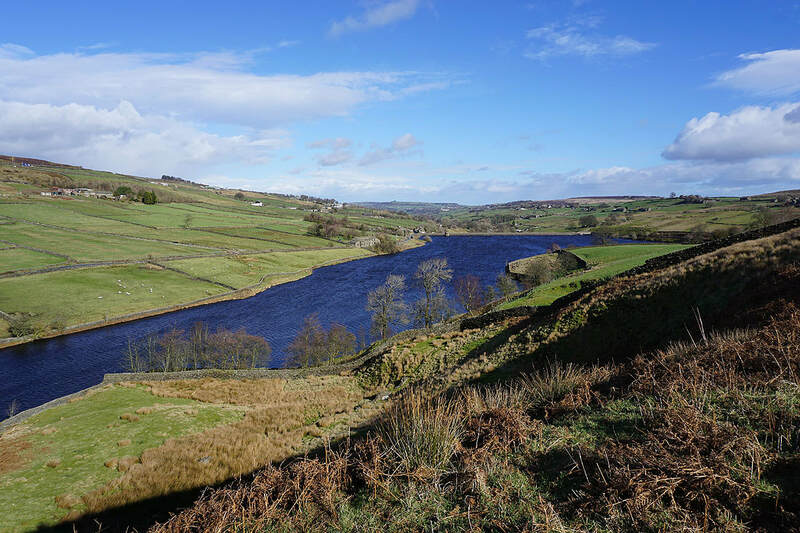 From the reservoir I then followed a path uphill to the west to join the trail of the Pennine Way as it heads north towards Wolf Stones. 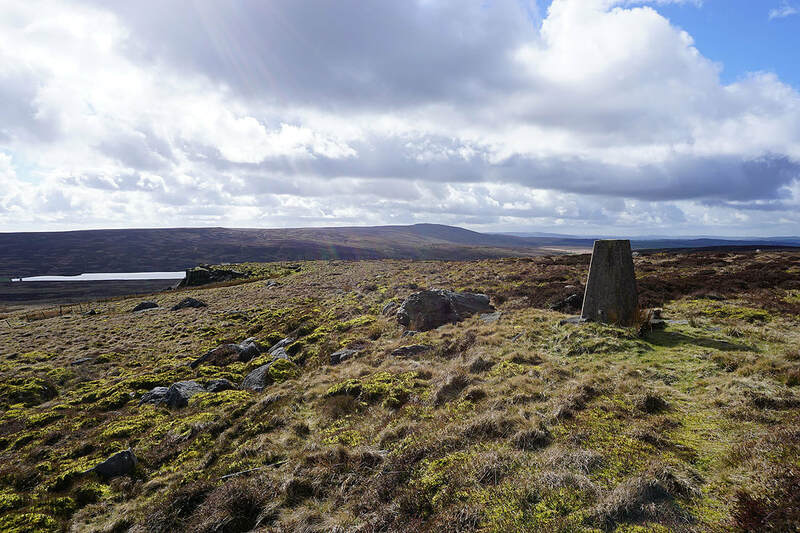 The Pennine Way bypasses the trig point, so I left the trail to visit it. 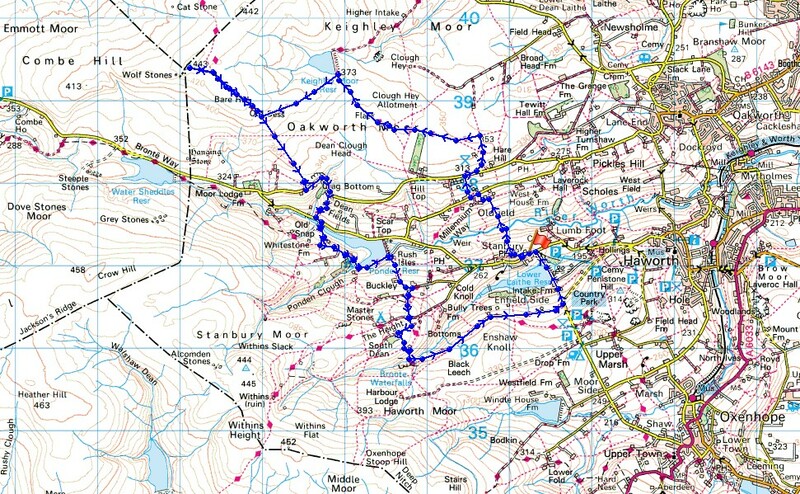 On returning to the Pennine Way I followed the trail south down into the Worth Valley to Cragg Bottom Road, along Cragg Bottom Road and Dean Edge Road, and then down by Dean Fields to Hob Lane. 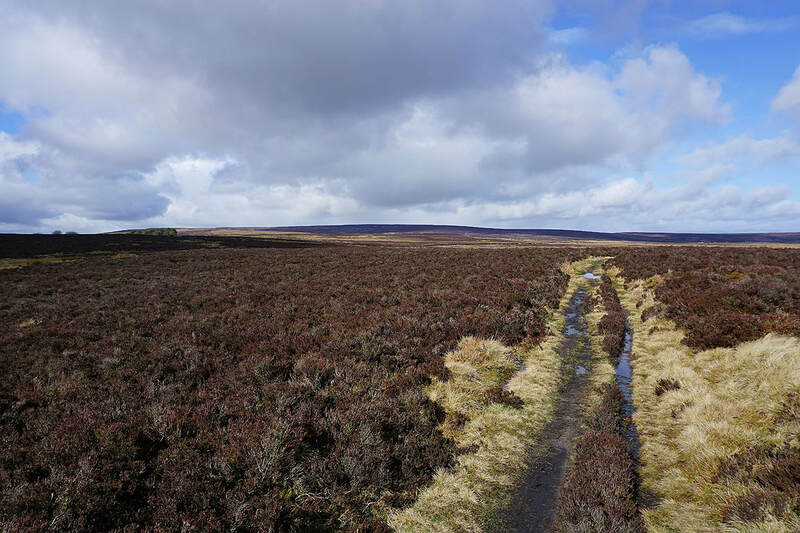 I kept on the trail as it made its way around Ponden Reservoir, up to and past Buckley Farm and then up onto The Height. 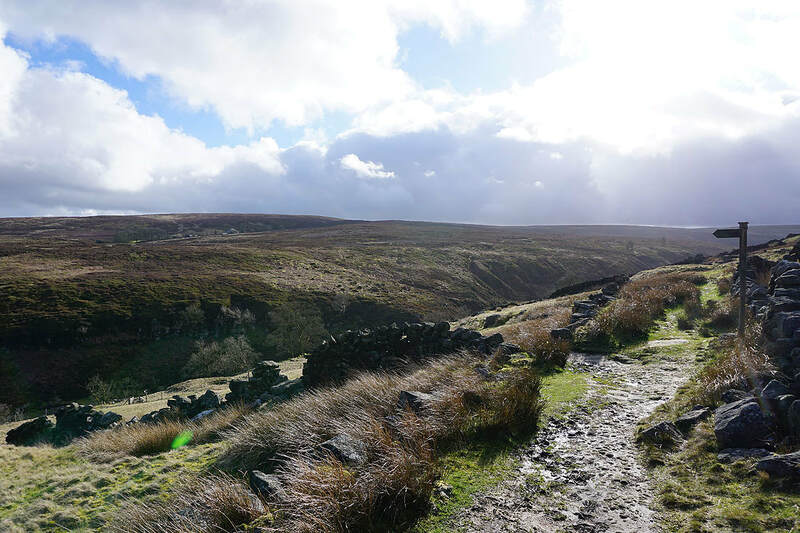 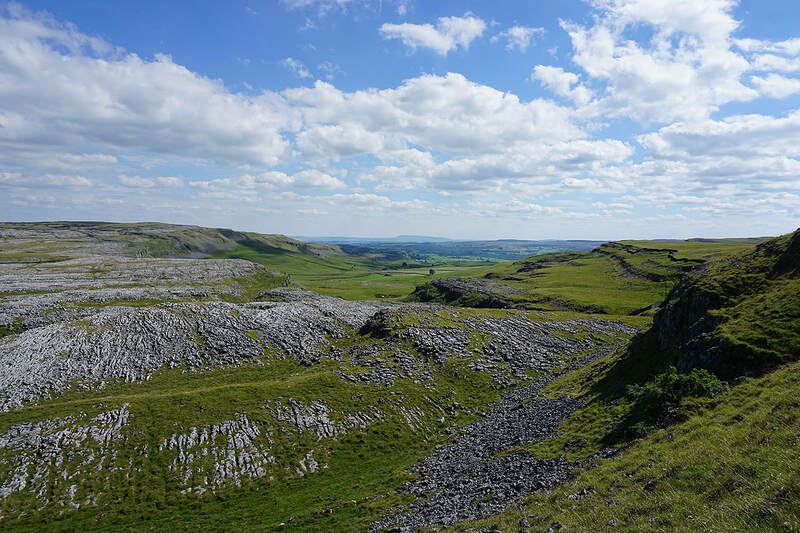 This was where I finally left the Pennine Way for a footpath down to Bronte Bridge where I picked up the trail of the Bronte Way. 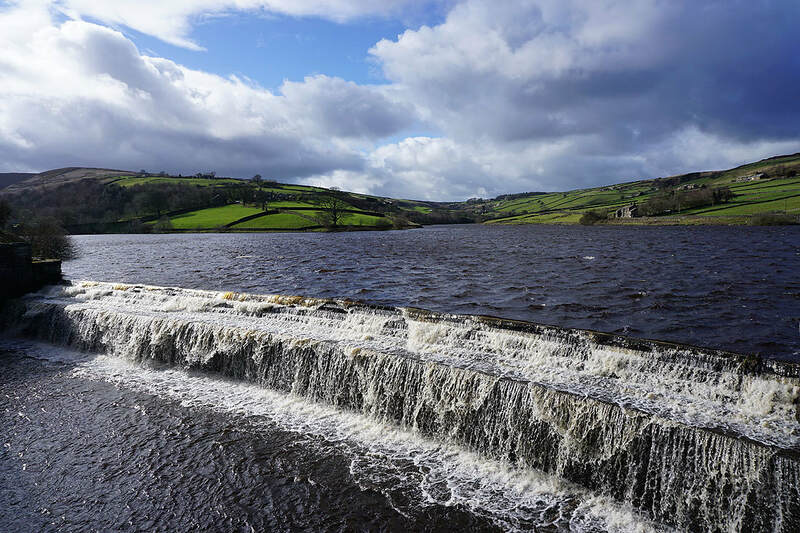 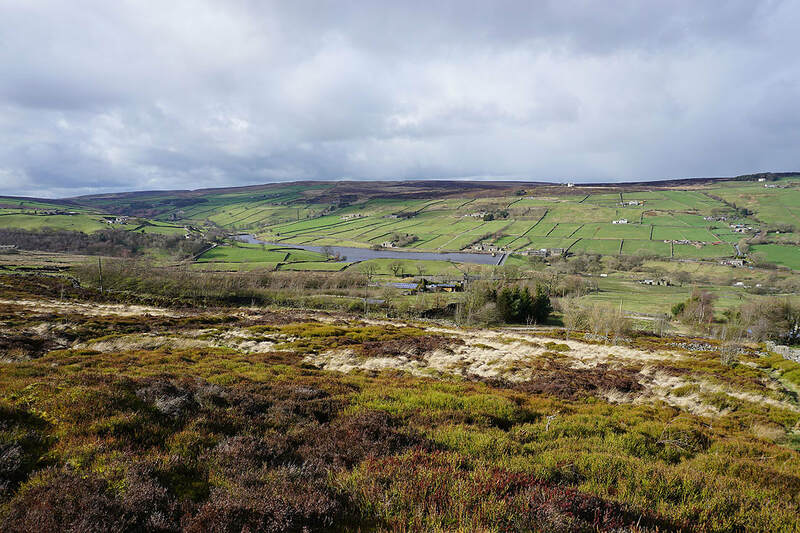 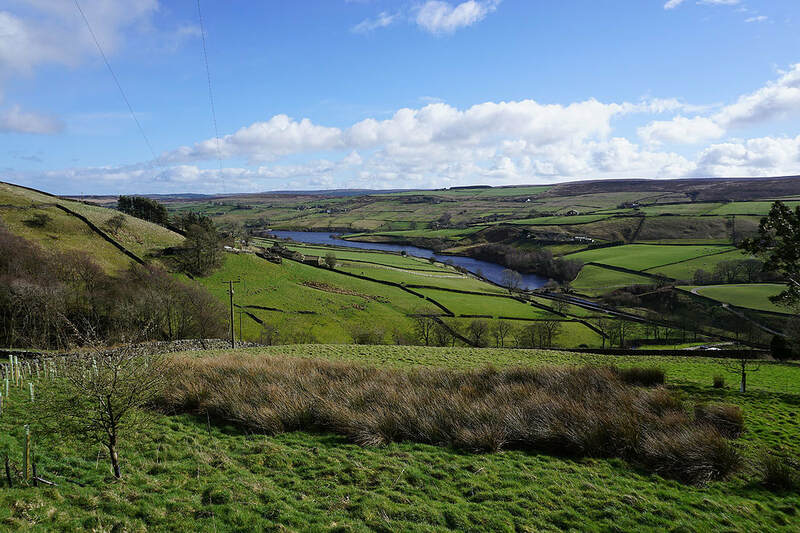 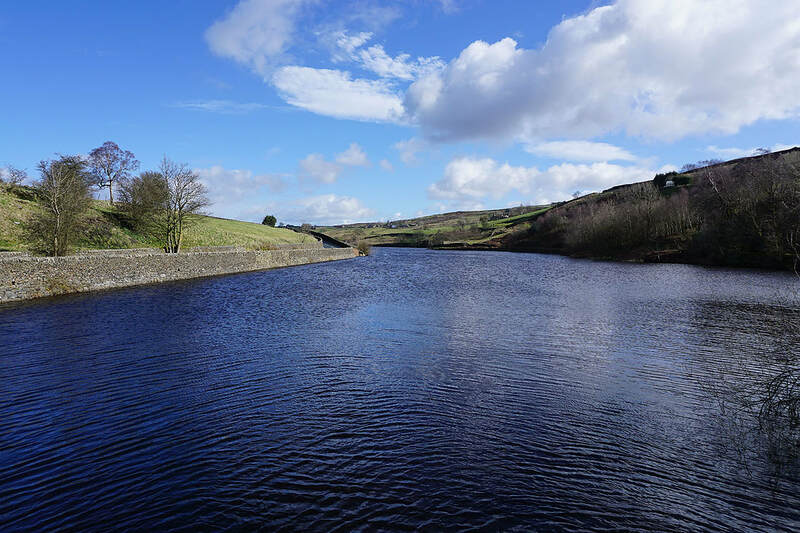 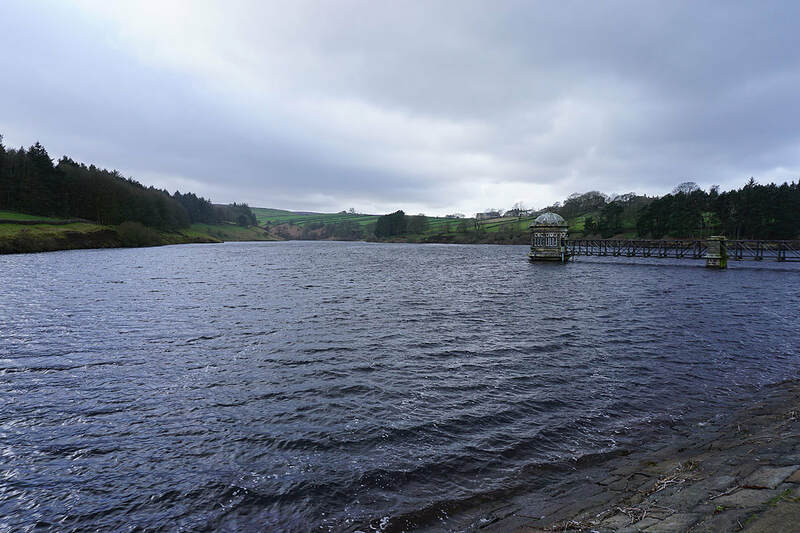 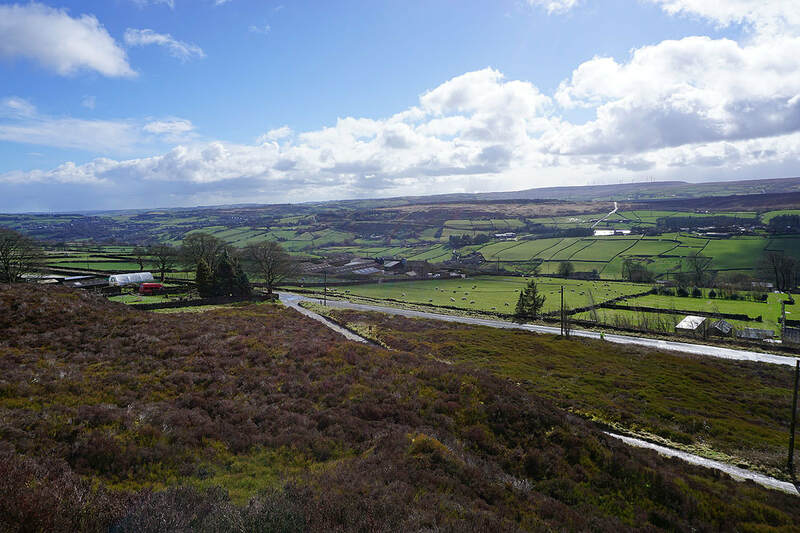 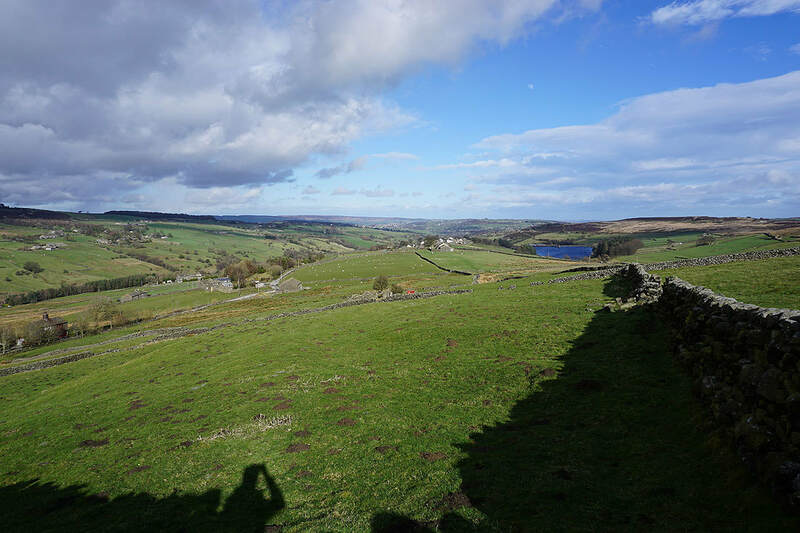 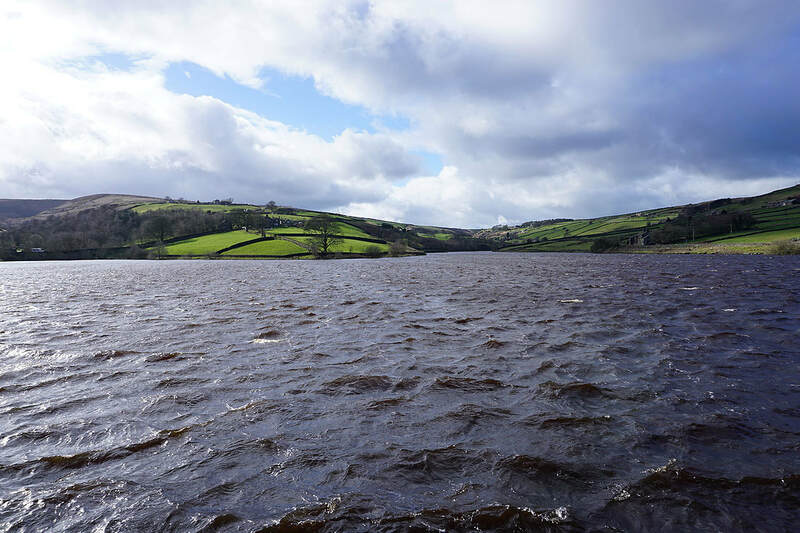 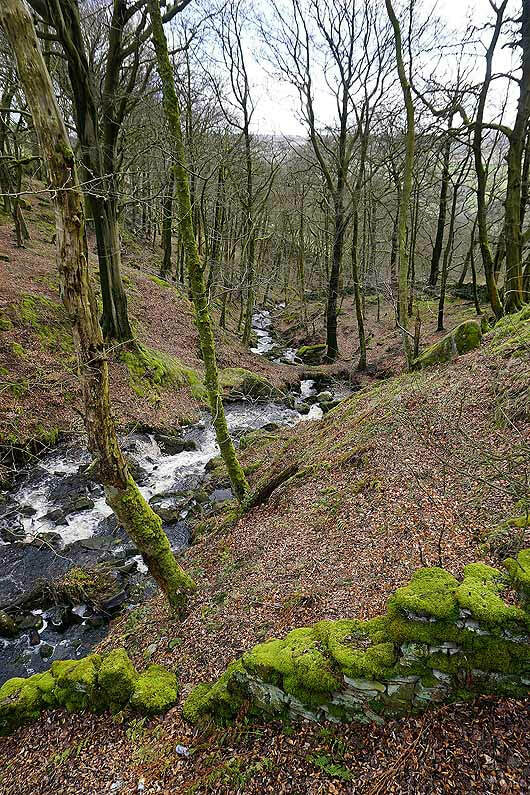 I followed the Bronte Way east to Moor Side Lane, and then walked north along the road over the dam of Lower Laithe Reservoir and up to Hob Lane, where after turning left I had a short walk back to where I was parked. 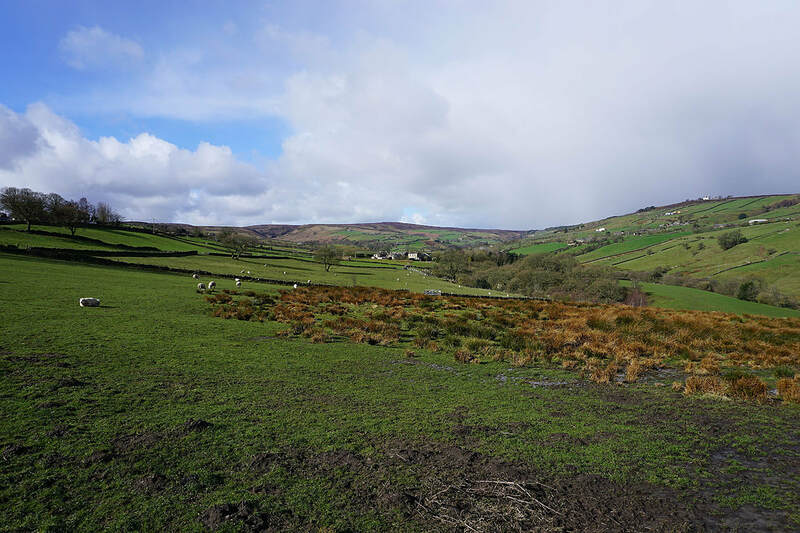 The Worth Valley as I leave Stanbury and head north across it to Oldfield..
Making my way up onto Oakworth Moor and it looks like there's some weather on the way.. 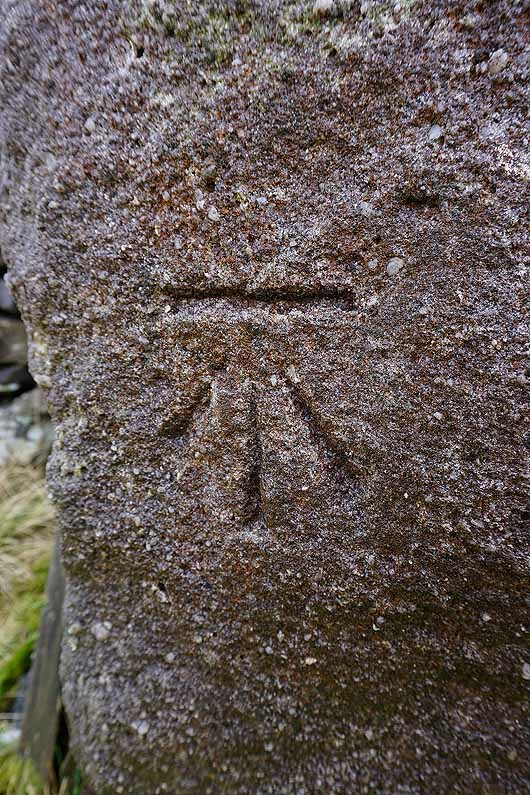 Indeed there is. 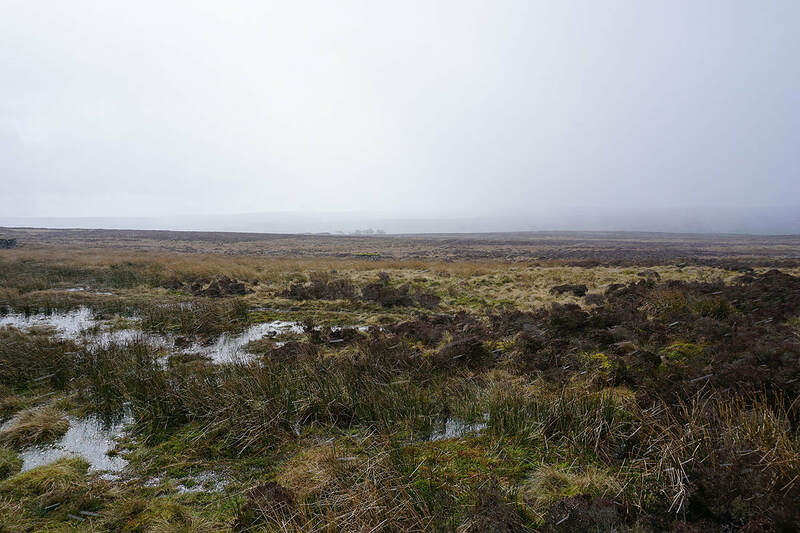 Ten minutes later a shower and hail and snow passes through. 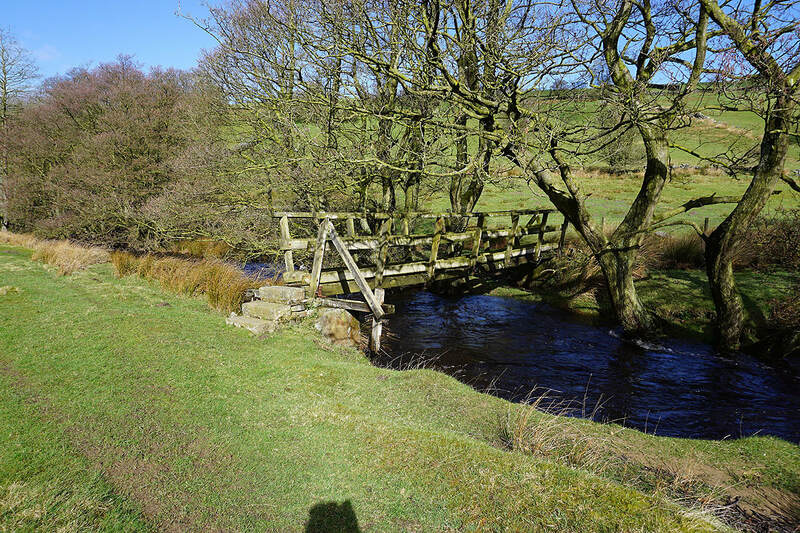 Old Bess. 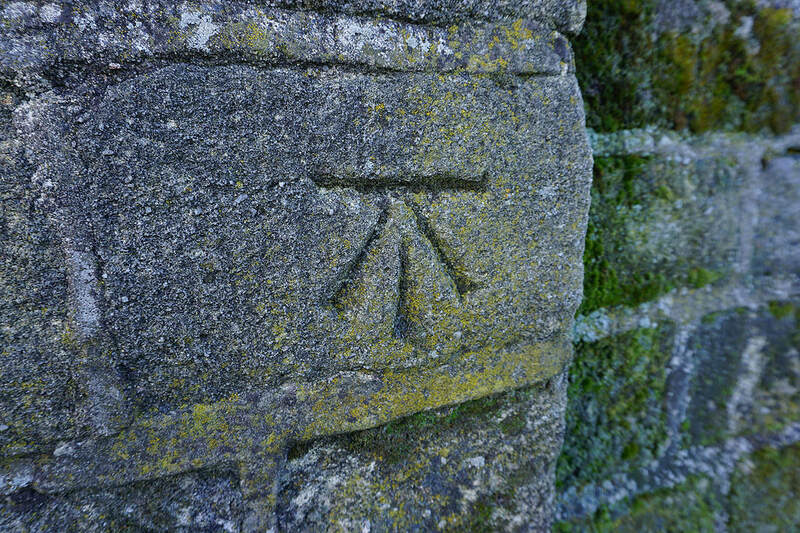 This stone is marked as such on the OS map. 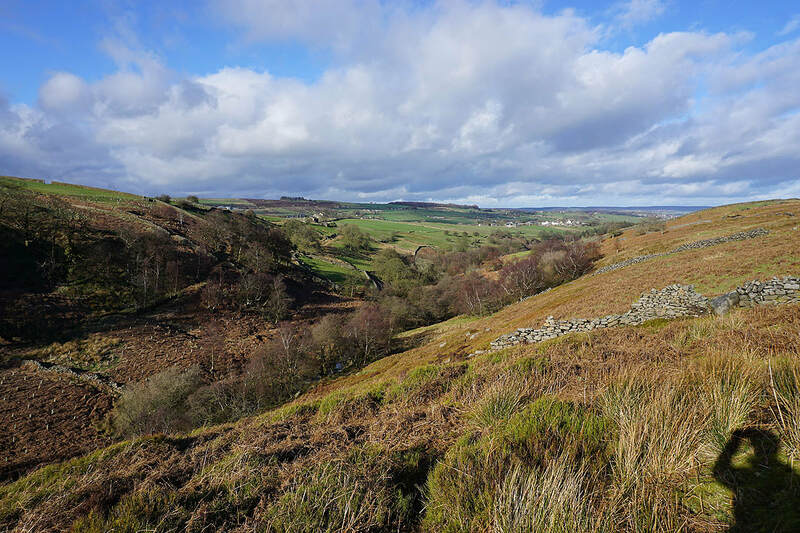 The valley of South Dean Beck down to Stanbury from the Bronte Way..